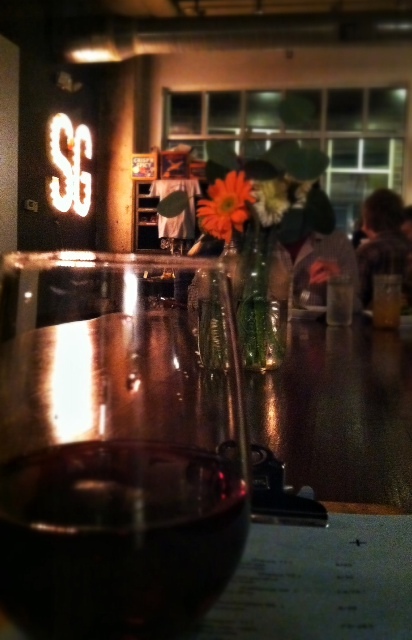 I went with my friend Carey and finally tried Silly Goose a few weeks ago, in East Nashville. Silly Goose is a small, but open restaurant located on Eastland. It should be noted that they don’t take reservations for parties smaller than 6, so go with a crowd! 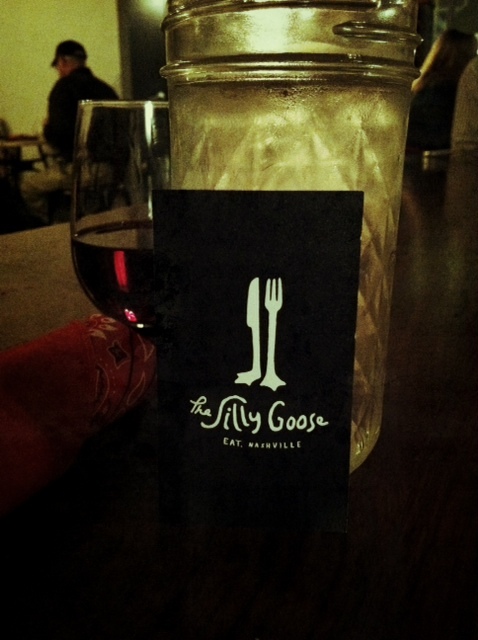 I should also mention their slogan “The Goose is Loose” because it is so funny to me. I love that. 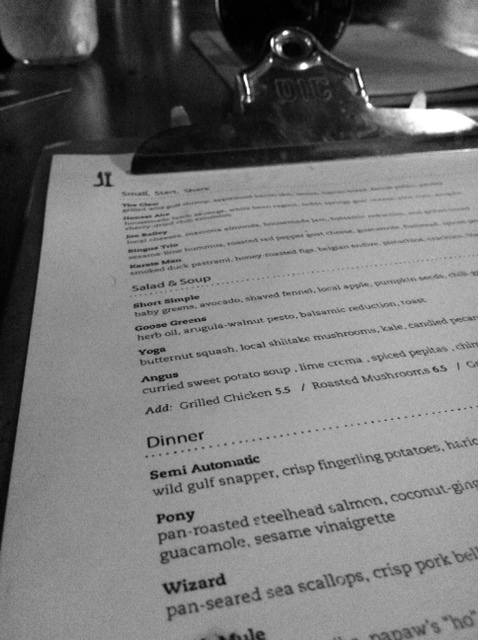 I liked the atmosphere and all the menus are on clip boards which I thought was cute and their napkins were bandannas. The Goose only serves wine (good to know before you go), so we both chose the Alpatagua Pinot Noir, which was great. They also have several neat infused teas to choose from like Citrus, Mint and Ginger Green Tea. We started off with the Karate Man appetizer. 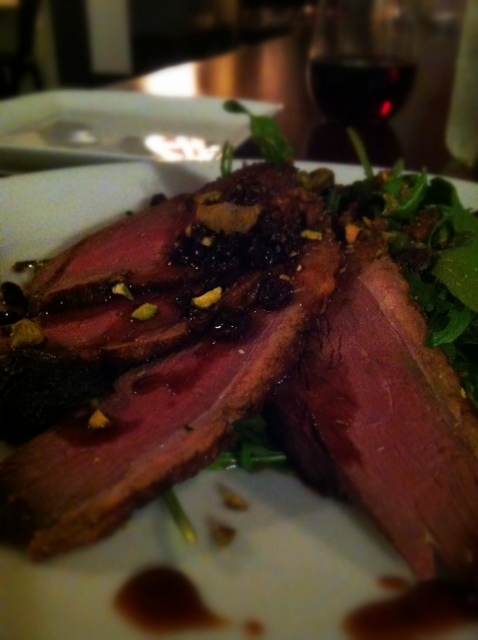 Duck Pastrami. It was served with Honey Roasted Figs and was really wonderful without being too salty. I had the Mexico City cous cous for my entree. 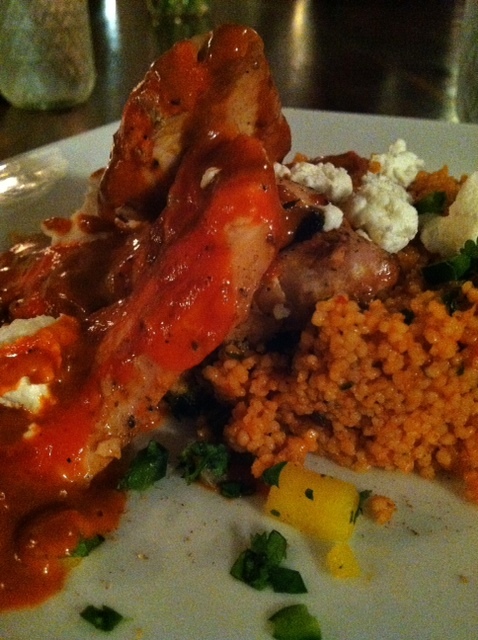 It was grilled chicken with red chili cous cous, poblano peppers, cilantro, goat cheese, mango and lime juice. It was really delicious and unique. Carey had the King Kong. 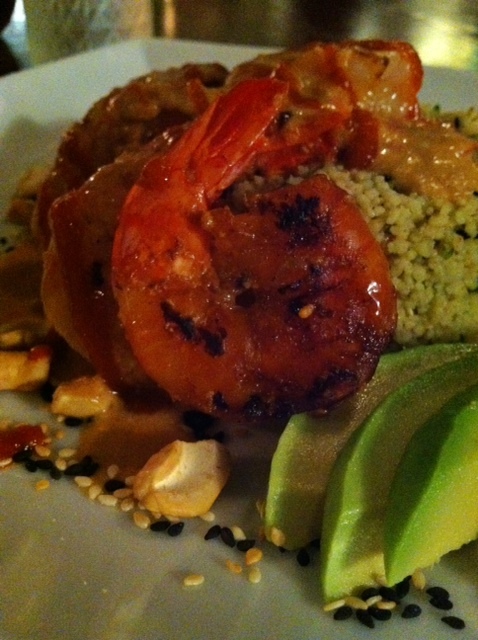 It consisted of sesame cous cous, curry, mint, ginger, avacado and cashews. I preferred hers but only because it was spicier. I will say we were both surprised because the cous cous is served chilled. It wasn’t a bad thing, just caught me off guard with the chicken/shrimp that was served warm. Both dishes had a lot of flavor and were very different than anything else I’ve had around town. 6.5 apples! I will definitely return although if I were recommending it to a friend (which I am 🙂 ) it would be for lunch. 6.5 apples for Silly Goose. 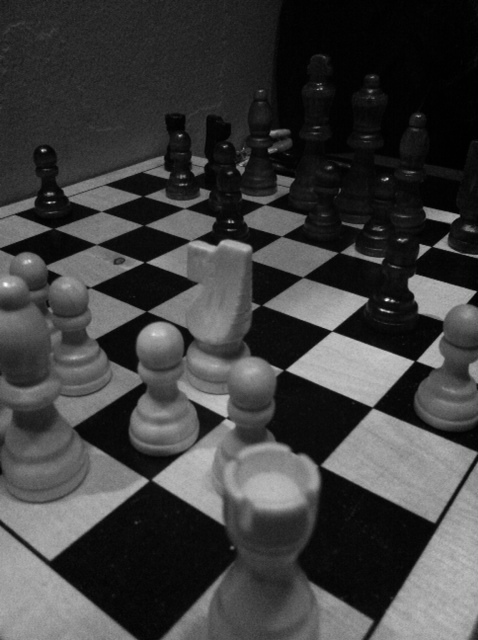 After that we headed over to Village Pub where our server taught us to play chess. Poorly. We played poorly, his teaching was remarkable, I am sure. 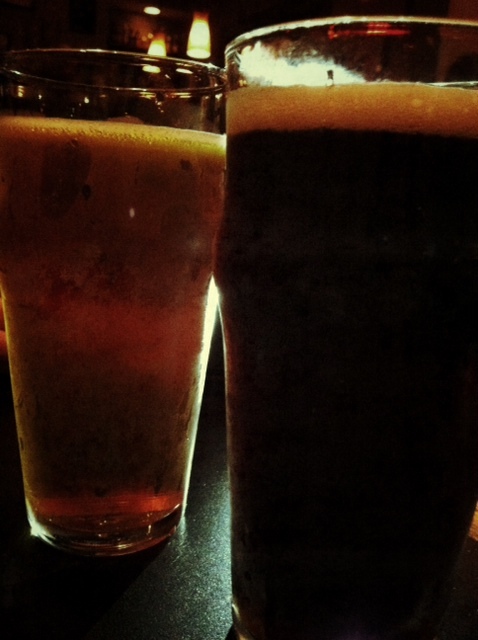 To end the evening on a good note, they had Black Betty on draft.